Take your knitting to new depths with this versatile technique. Another Way to Use the Showy Decrease Here’s another way you’re going to love using the Showy Decrease! 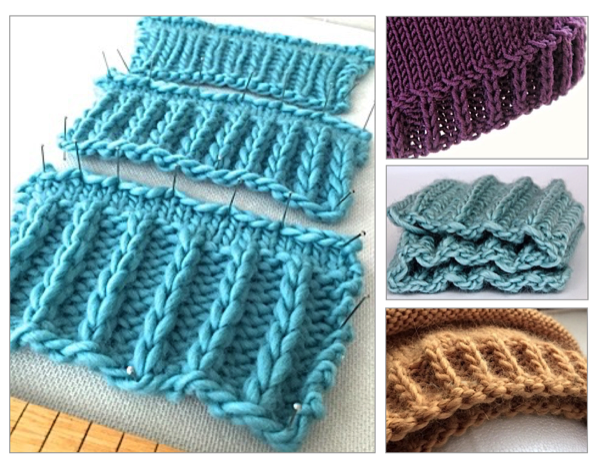 Pair it with a purl stitch (or two) to knit fantastically deep ribs that create show stopping projects. Try them in scarves, hat brims or even sweater bases. Free Tutorial Patterns We’ve published free 2 scarf patterns that show you just how it works and our first hat pattern with a Raised 1x1 Showy Rib brim. Our blog posts include lots of technical details, sample swatches, charts and explanations.